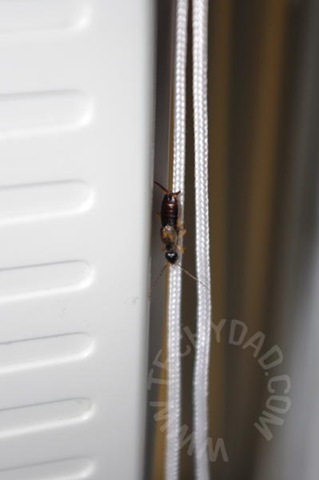 What The Bug Is This? Thanks to the air conditioning units in our windows, we’re able to stay cool on these hot, hot days. 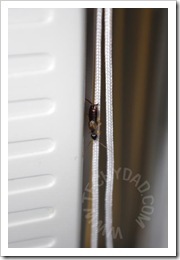 Unfortunately, since there are gaps in the window/AC unit, we also get some unexpected visitors. Like this little guy. He’s a bit small, so here’s a closer look. His visit was short-lived as he met a squishy end. This was the fourth of these critters that have invaded our home. We can’t help but wonder what kind of bug is this? Are they living in our house or just coming in from outside? Any ideas? 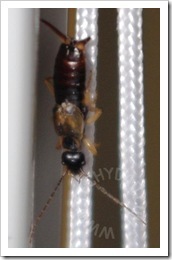 Looks like an earwig, minus the rear pinchers. I don’t think they do much… but they look fierce. 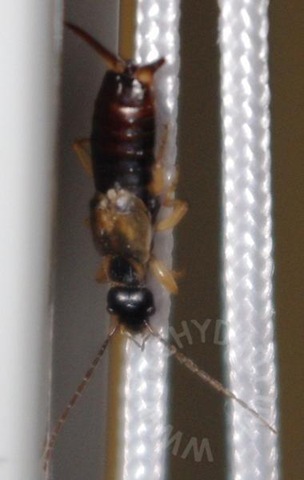 Yeah, that’s definitely an earwig, and i’ve heard they’re kind of dangerous if they get to enter your ear. They won’t break you eardrum but they can cause some serious damage.